Non stop rain for 8 days. 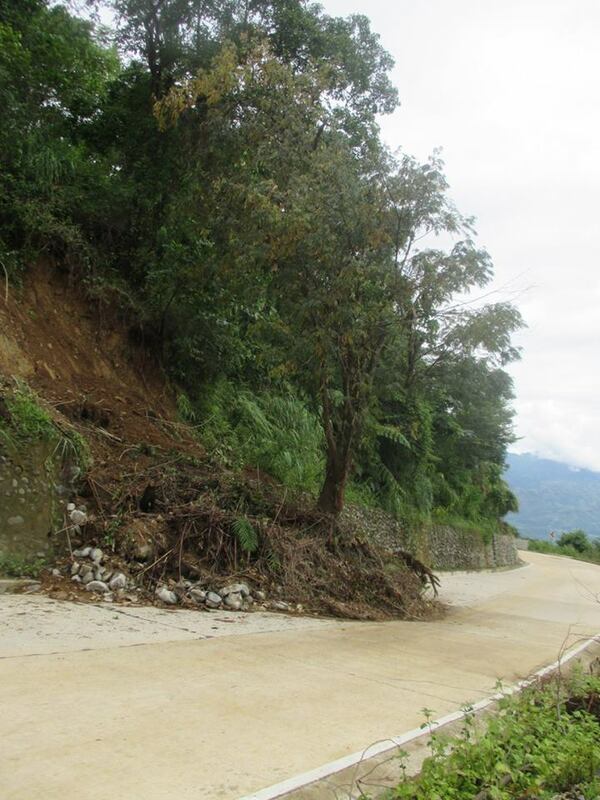 Strong winds.Landslides. The damage caused by typhoon Ineng at Layog Country Farm was enormous that I was just speechless when I went to the farm for inspection just to have an idea of the damages caused. 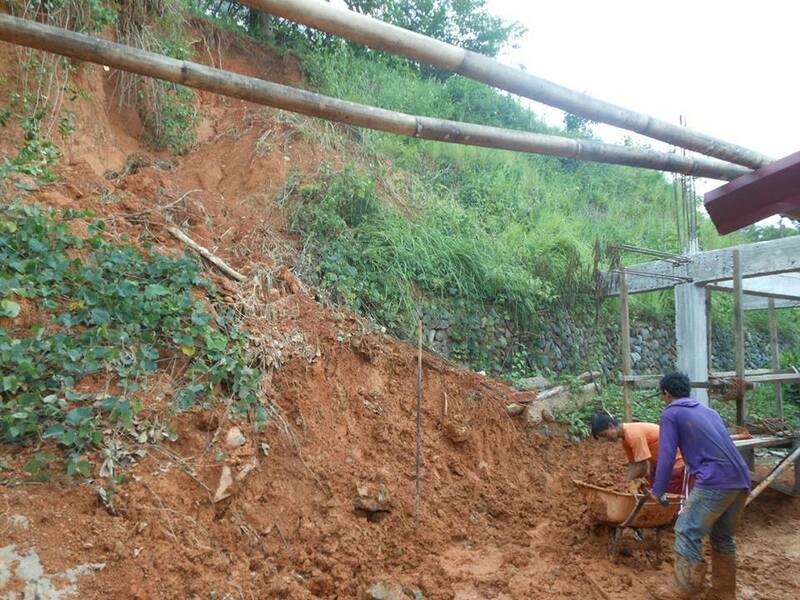 There were landslides that have to be cleared, trees uprooted, and some crops destroyed. 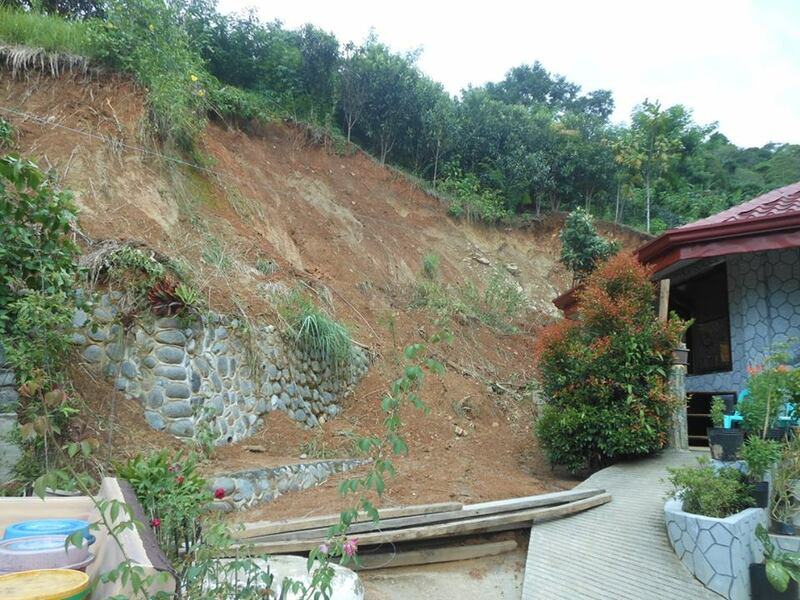 Landslide beside the family chapel. It was really depressing to witness such, but at the end of the day, I have to tell myself how lucky I am having all the farm assistants and volunteers safe. No accident! that was the main concern …. 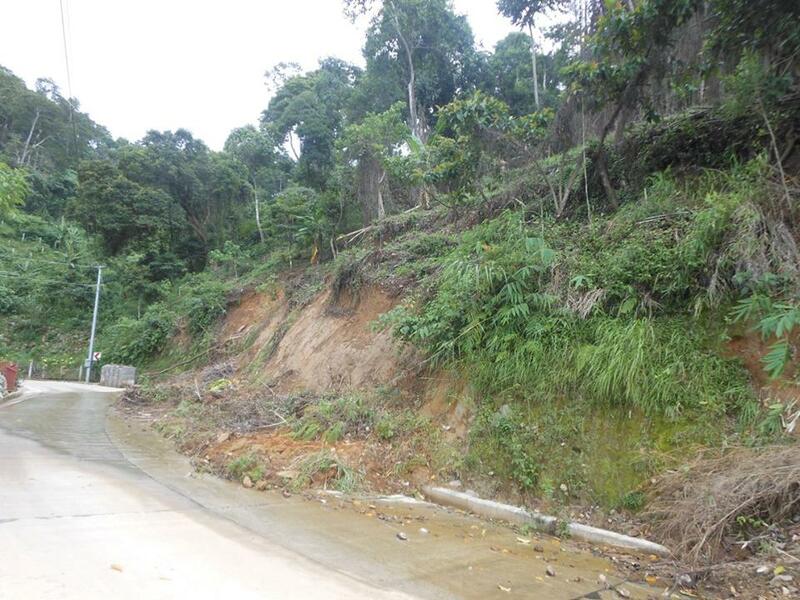 just a big mess to be cleared up and to find a solution to the landslides. 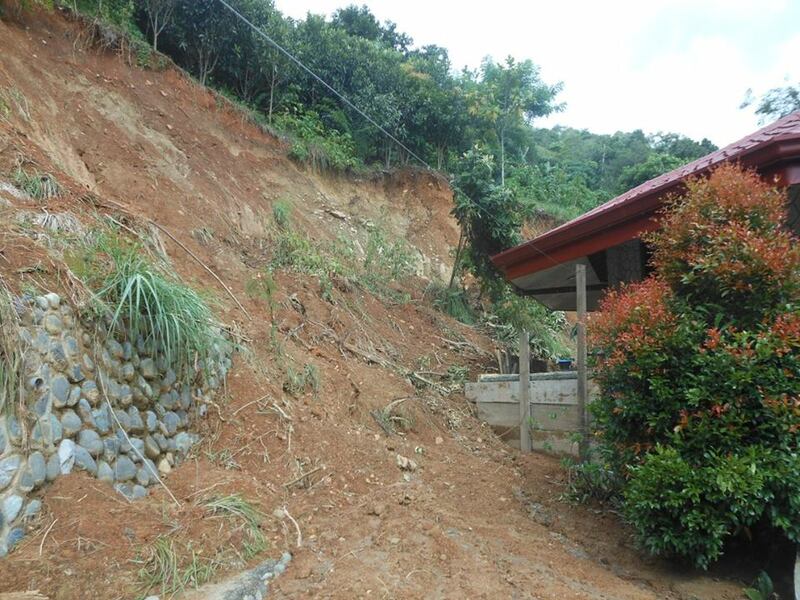 If you have any suggestions or can provide assistance in solving our landslide problems please comment below. We appreciate your help very much. Yes, it was really touching to see how much all the farm assistants worked so hard and even worked overtime just to save the chapel from being flooded. 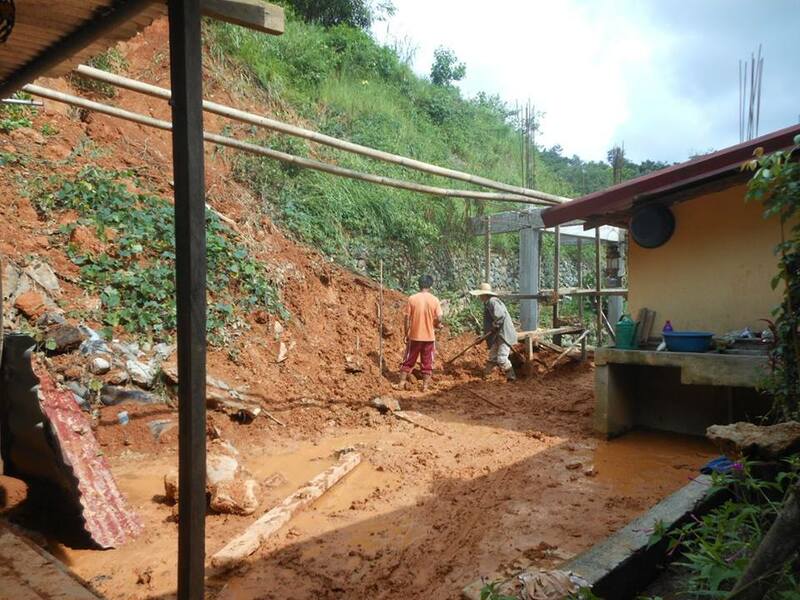 Our volunteers Ruth and Thomas who witnessed the landslides have done all their best to help too. Now we have to plan further and do more preventive measures so as to minimize the damage when the typhoon hits hard again next time. The typhoon must have caused real economic loss for the farm!! There is no doubt the typhoon has caused us great economic loss but we have to move forward. 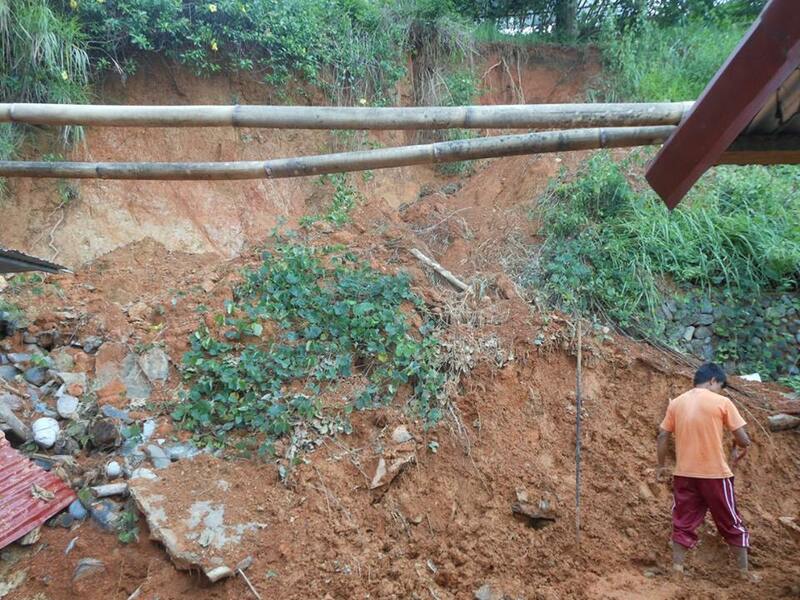 I am just thankful that we only had material loss and all the workers and volunteers were safe.